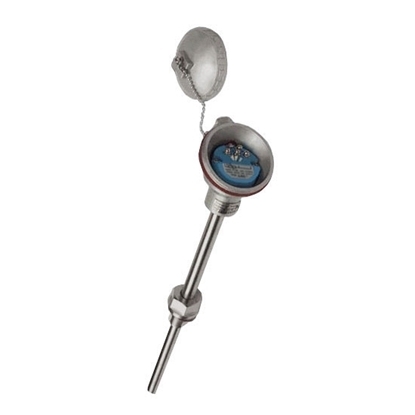 RTD temperature sensor can directly provide accurate input signal of temperature changes for display instruments, recording instruments, signal conditioners, scanister and computer. Note: t is the actual measuring temperature absolute value of the temperature sensing element. 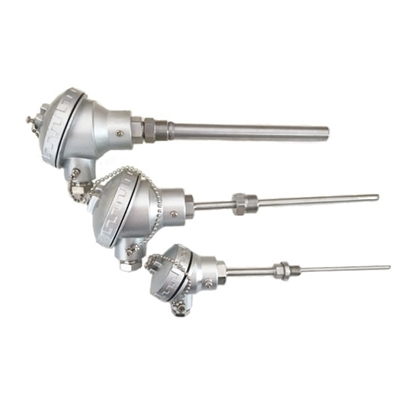 Note: The sensing element is sheath RTD sensor, thermowell material is stainless steel, and circuit adopts non-isolated type. 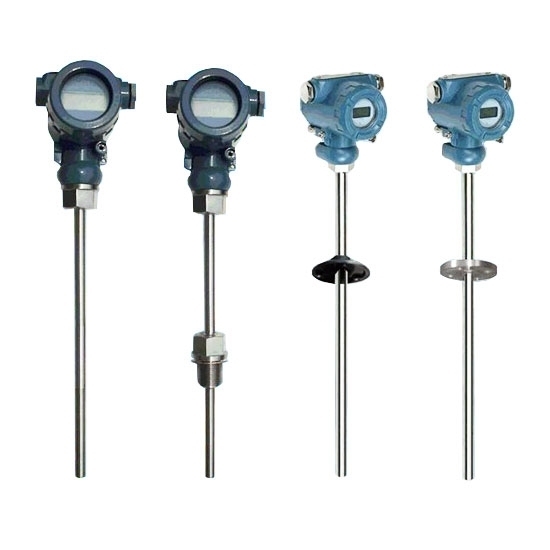 When ordering products, write the thermowell insertion depth l and the corresponding temperature range for output 4~20mA signal you need. Fault: Instrument shows negative value. Possible cause: Wrong connection between display instrument and Pt100 RTD sensor, or short circuit of Pt100 RTD sensor. Processing method: Correct the connection, find out short circuit position and strengthen insulation. Fault: Instrument shows that the indicated value of Pt100 RTD sensor is lower than the actual value or the indicating value is unstable. 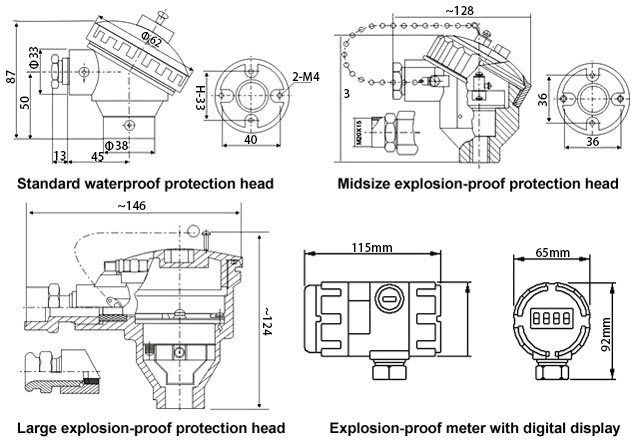 Possible cause: There are metal chips, dust, dirt among wiring terminal and Pt100 RTD sensor short circuit. Processing method: Remove metal chips, clean dust and water drops, find out short circuit position and strengthen insulation. Possible reasons: Pt100 RTD sensor or lead wire short circuit, or connection terminal loosening, etc. 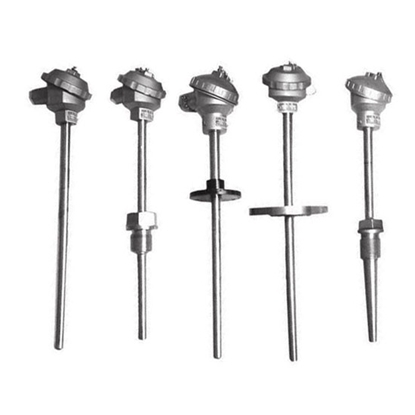 Processing method: Change the resistance body, or welding and tighten the thread screw. Fault: Relation between Pt100 RTD sensor resistance value and temperature has changed. Possible cause: Resistance wire of Pt100 RTD sensor become corrosive and degenerative. Processing method: Replace resistance wire of Pt100 RTD sensor. In this video, ATO will show you how to connect RTD sensor to temperature controller and how to use RTD sensor to measure water temperature.